Welcome to Monday kids. Still dragging after a long weekend and an obnoxious play date during which my son acted insufferable toward a younger child. Ah yes. 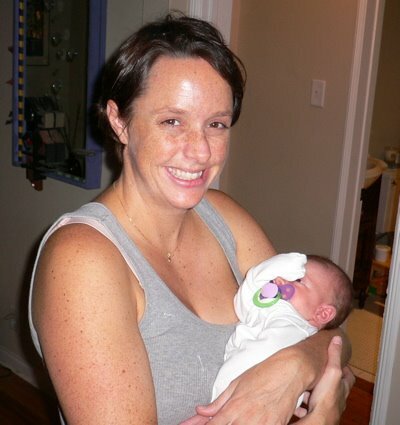 Isn't motherhood sweet? I had to read no less that 15 books aloud afterwards in order to keep the peace! 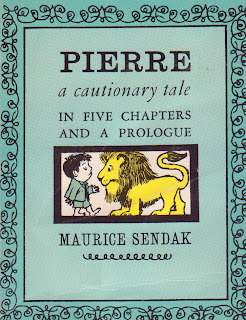 That said, the Great Monday Give today is a super sweet vintage paperback copy of a book about a boy who was rather creepily similar to my kid this morning... Pierre: A Cautionary Tale. (Those unwilling to roll the dice can pick up a similar copy here for only $2... do you know I have found no less that four copies of this book throughout my house!?!) You can be entered to win by leaving a comment on this post before midnight ~ Sunday ~ 2/08.... I know I always talk about Really Rosie (the 1975 animated TV special written by Maurice Sendak and voiced by Carol King)... but as my son is hooked on the soundtrack, it is all we sing nowadays. Check out the Pierre segment... soo adorable. And of course, the winner of last week's give is Yvonne who will be receiving a copy of Amos & Boris in the mail as soon as she sends her info to webe(at)gvtc(dot)com. Pierre is one of my most favorite books! Would love to win. love love love anything by him! Would love this! Sendak is the best. Thank you! love the sendak, and your blog! Had actually seen this in your Etsy shop and thought why have I never seen Pierre!? Loved the clip. One of my animation pals online talked about Really Rosie a while back. Here's his post: Really Rosie minutes.